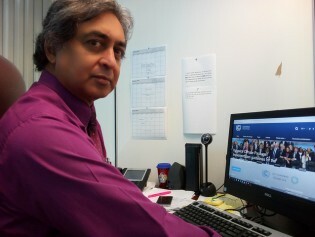 Trinidad and Tobago unveiled its monitoring, reporting and verification system in mid-March with a flourish, with government authorities underscoring the launch of the Monitoring, Reporting, Verification as a milestone in that country’s efforts to reduce its emissions in line with its commitments under the 2016 Paris agreement. The Trinidad and Tobago government has invested about 74 million dollars in the first phase of a 295-million-dollar project to encourage more drivers to use Compressed Natural Gas (CNG), described by experts here as a preliminary step in the country’s transition to using more sustainable forms of energy. Starting in 1999, the Water and Sewerage Authority (WASA) of Trinidad and Tobago began a 10-year effort to map the country’s water quality. They started to notice a worrying trend. Thanks to committed involvement by the local community, the Fondes Amandes Community Reforestation Project has transformed this area of Trinidad from a bare, dusty hillside to one where tall trees flourish, fruit trees grow alongside flowering plants, and more wildlife returns each year. Not far above Trinidad’s capital, Port-of-Spain, in a corner of the St. Ann’s valley in the Northern Range, the community of Fondes Amandes has come together since 1982 to respond to climate change. At 24 years old, Stefan Knights has never been on the side of those who are sceptical about the reality and severity of climate change. Relief work done by emergency responders during natural disasters may inadvertently exacerbate problems caused by climate change and lead to further disasters, recent reports suggest.